There’s Not Much Left to Say! My longest-standing WIP is done. It is quilted. It is bound. It is waiting to be cuddled up under, to be claimed by a comfort-seeking puppy, to be transformed into a kid-made fort—and I couldn’t be more pleased. I’ve written pretty much all there is to say about this project. (If you want to know more, there’s a list of previous posts at the bottom of this one.) 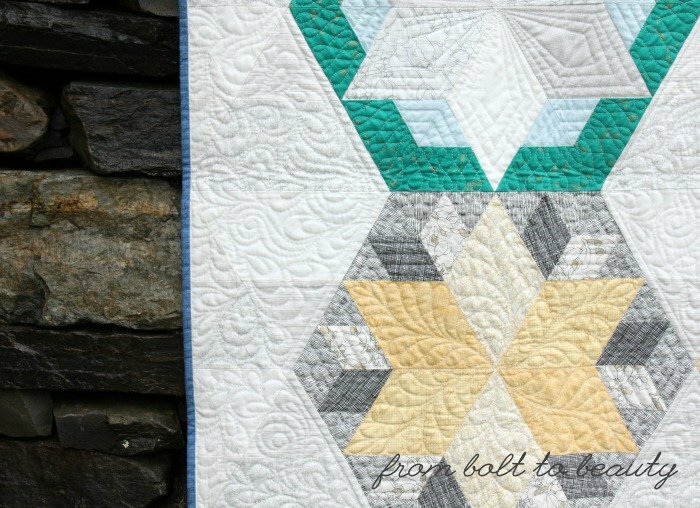 If the quilt here is new to you, the design is Park Bench by Jaybird Quilts, and it’s made with Carolyn Friedlander’s Botanics line, my favorite collection of hers to date. them in my final layout. Without them the quilt is still the size of a large throw. The quilter, Mary Gregory, did something different in each block. Look at those pebbles, at those teardrops! Mary knows I’m not crazy about feathers, so she used them sparingly. The paisley in the background fabrics, however? I adore them! That’s my favorite block in the center there. And those overlapping petals are my favorite bit of quilting. Love, love, love! Wow, I first wrote about this project almost three years ago! OK, time to fess up: Just how old is your oldest WIP?! Years ago, my husband dubbed me a “leaver.” If you ask why, he will provide evidence from different aspects of our lives. If I take an umbrella to church on a rainy Sunday morning, for example, I’ll likely have to run back from the car to the sanctuary after service to retrieve it. If I write a detailed list before a big grocery run, I’ll probably leave it on the kitchen island and have to shop from memory once I arrive at the store. So last fall, when I packed up some unwanted sewing stuff to give away at a guild meeting, I wasn’t surprised at the end of the night when I got in my car and found the bag sitting in the backseat. The demands of life: 1. Michelle’s unreliable memory: 0. This instance of leaving instigated a rather good idea, though. If I had a bag of quilting paraphrenalia that I was willing to give away, my fellow guild members likely did, too. And my leaver self came up with the idea of a guild-wide yard sale. The scenario the guild’s board cooked up was a win-win-win proposition. Members could get rid of sewing items they weren’t going to use and could buy ones they wanted for yard-sale prices. All proceeds from the sale went to the guild, for future in-meeting programming. Anything that didn’t sell was given to a local charity. 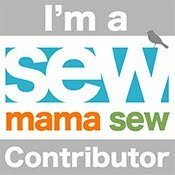 As a thank-you for participating, we entered donors into a drawing for a $25 gift certificate to a fabric store. 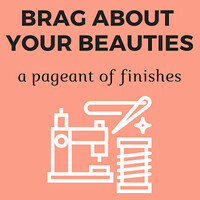 (I’m sure the irony is not lost on you: We encouraged people to get rid of quilting supplies and fabric so they could win a gift certificate to buy more quilting supplies and fabric!) To ease check-out, we priced almost everything by category: Books were $3, magazines were $1, fabric was 50 cents an ounce, and so on. I also bought multiple yards of Essex Linen, a book, and a pattern. I spent about $18 for all my loot, and I was one of many happy buyers. To boot, the evening raised more than $500 for guild programming. Yahoo! If you’re looking for an easy way to raise money for your guild, I recommend holding a yard sale. 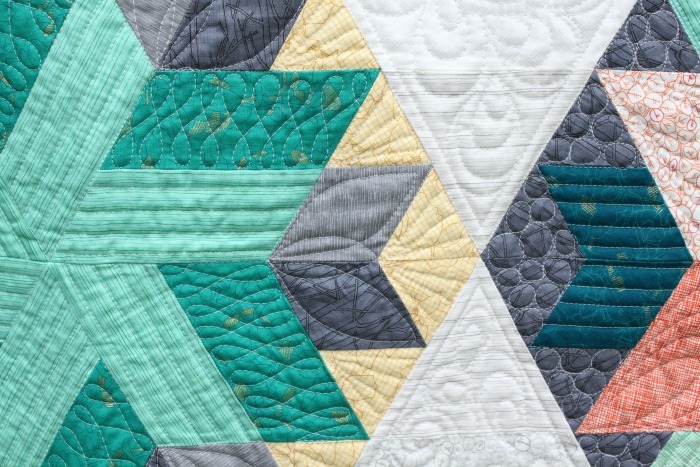 After all, one quilter’s trash is another quilter’s future UFO, right?! If you have other simple ways to grow a guild’s coffers, I’d love to hear about them in the comments! Mary Fons, over at PaperGirl, sent out a call for essays last month. The purpose of this contest was to get people writing—for future quilt lovers, for posterity—about their quilts. 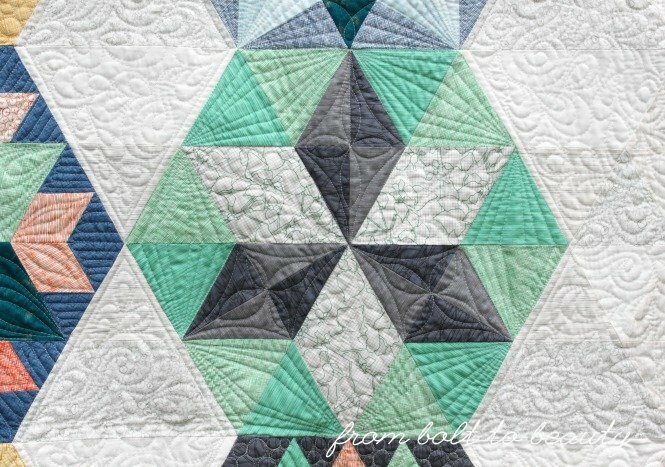 As a blogger, I write about my quilt projects and quilting in general all the time, so my participation was a no-brainer. What follows is my submission to this contest, plus some pretty pictures. One of the things I love most in the world is quilting, but right behind quilting is quilters themselves. 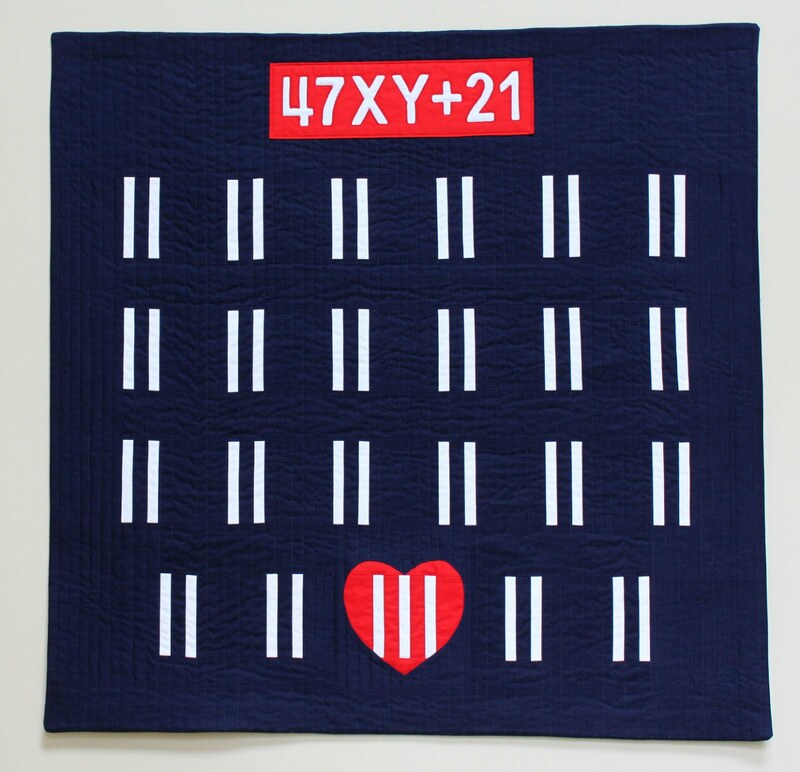 Quilters are a unique breed. There’s something special about meeting another quilter for the first time. 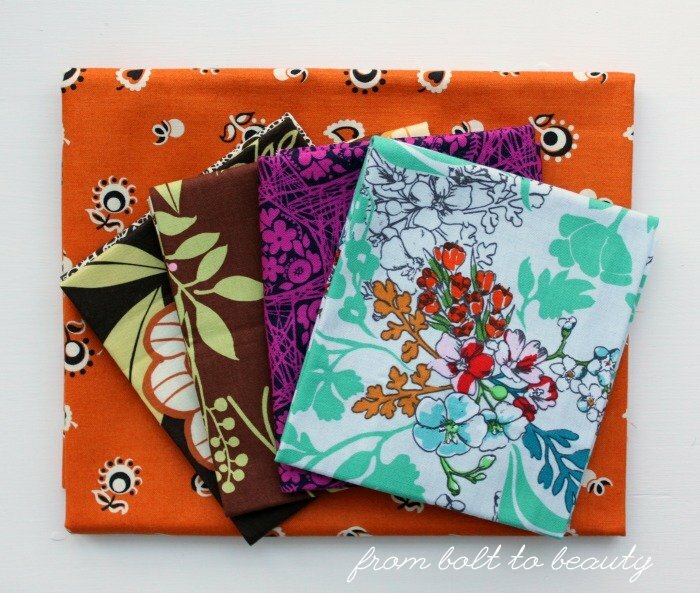 There’s an instant connection when two people who have spent hours sewing at a machine, standing at a cutting mat, and foraging in fabric shops cross paths. My latest finish—Grape Fizz—is noteworthy not only because it’s beautiful and I love it but also because it reminds me of one of those encounters. 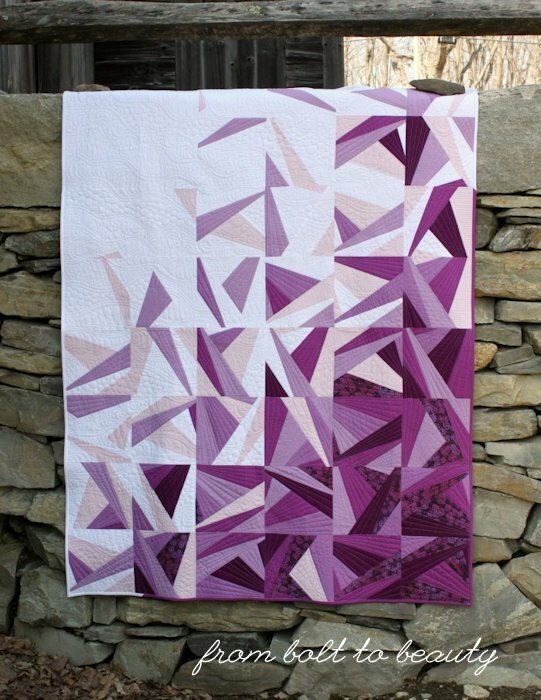 Grape Fizz is my version of Amy Garro’s Icy Waters, a quilt that a lot of modern quilters know. 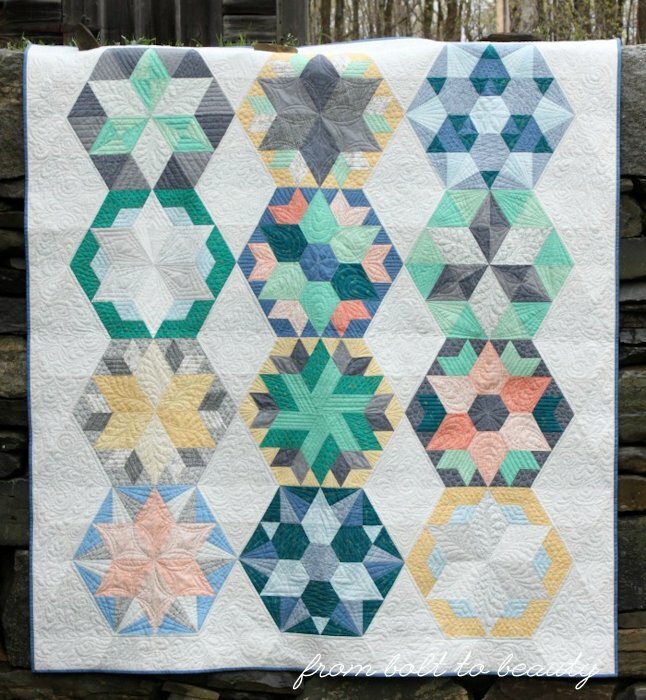 It was shown at QuiltCon 2014 and also adorns the cover of Amy’s book, Paper Pieced Modern. 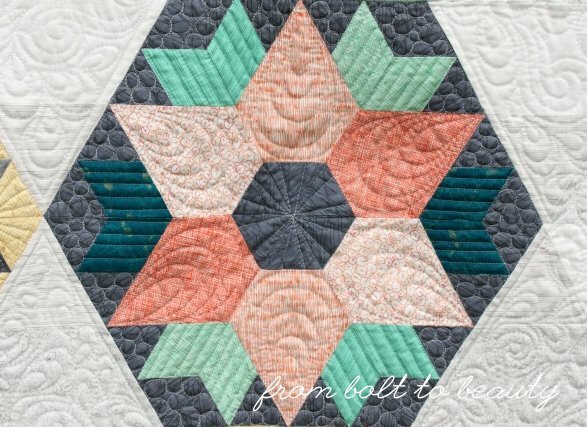 The brilliance behind this pattern is that the seemingly complicated design is really just one block that’s rendered in different fabrics and rotated throughout the quilt. In Amy’s original, this approach re-creates the look of an iceberg. Amy uses a spectrum of blues to translate that iceberg—which sometimes pokes through the Arctic waters and, other times, is submerged deep in the ocean—into fabric. My interpretation of Icy Waters became Grape Fizz through my decisions about the palette and quilting. 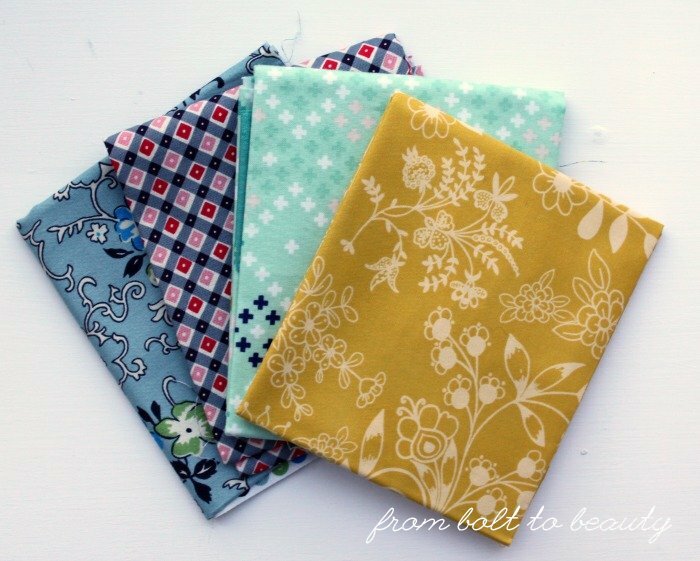 Like Amy, I chose an ombre array of fabrics, from pure white, to shades of lavender, to eggplant. I finished piecing my quilt top soon after I started it, in the summer of 2016, and passed it on to my friend Mary Gregory (of See Mary Quilt) for quilting. 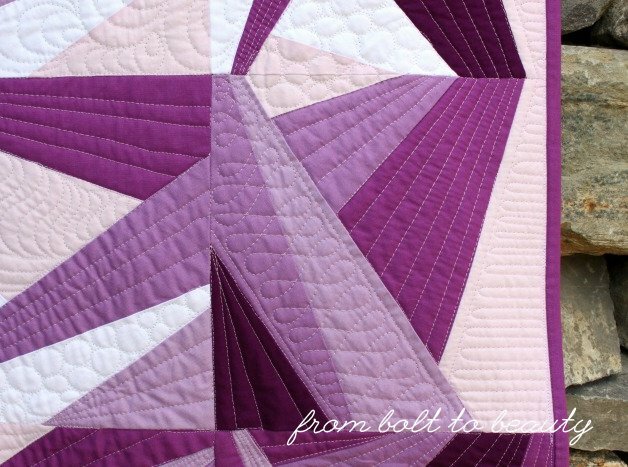 It’s the quilting that transforms this project into Grape Fizz. I asked Mary for bubbles and ribbon candy, lots of soft curves to balance the piecing’s sharp corners, and wow, I got it. 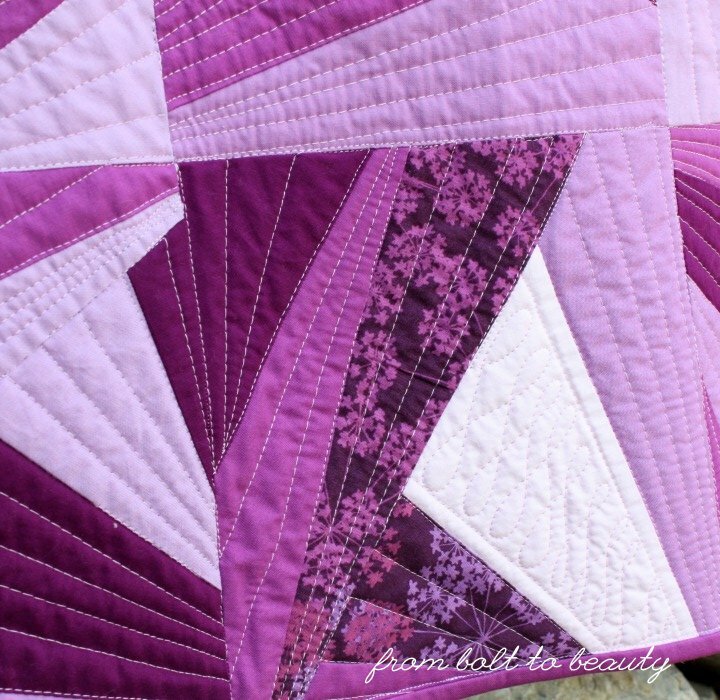 I almost always straight-line-quilt my projects, so Grape Fizz is not something I could create without Mary’s collaboration. Mary returned the quilt to me recently. Seeing it transported me back to last summer when I pieced the top, and my experience piecing Grape Fizz was unusual. I did not embark on the project at my sewing table, Paper Pieced Modern in hand. 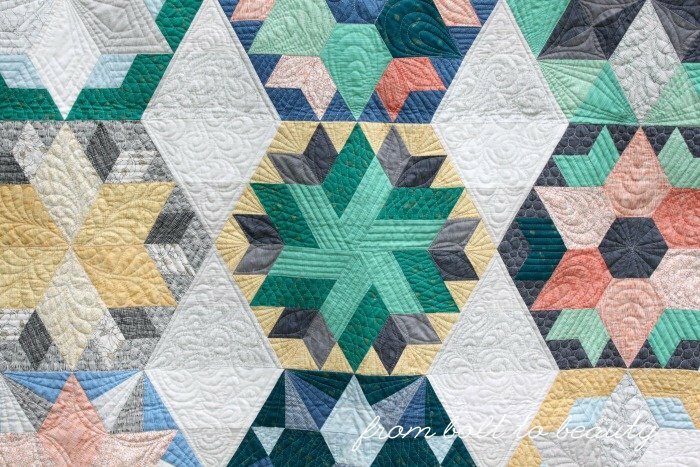 I had the pleasure of starting it with direction from Amy herself, in a workshop she did with the New Hampshire Modern Quilt Guild. 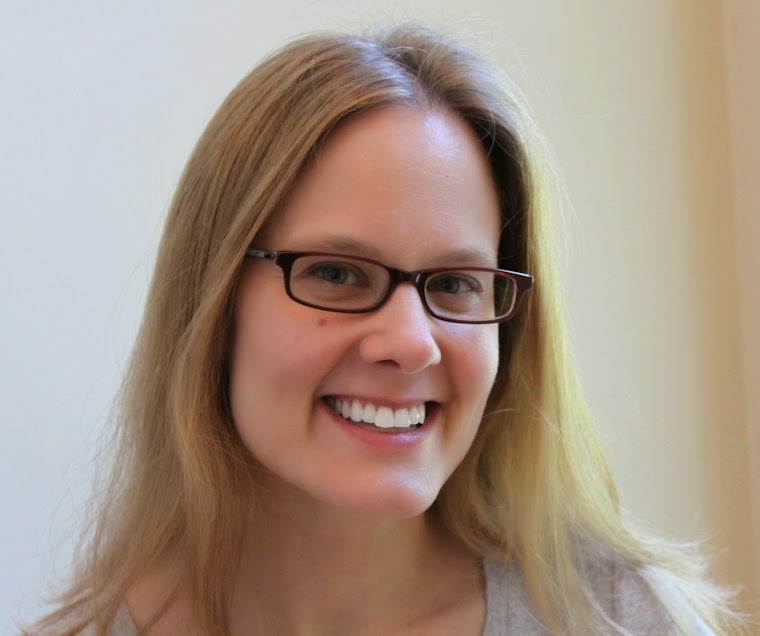 As the NHMQG member in charge of events, I planned the details of getting Amy to New England. In the months preceding her visit, my interactions with her were confined to quick emails about where she wanted to stay and which airport she’d fly out of. By the time her visit (finally!) arrived, I was delighted to have the opportunity talk to her and get to know her more as a quilter and a person. And we had a lot of time to talk. We talked in the car from the airport to her hotel, during the next day’s workshop, at the post-workshop dinner, and again the last day of Amy’s visit, at her trunk show. We exchanged stories about our projects, our techniques, our quilty idols, our kids. Talking with Amy was, of course, easy because she is a quilter, and we have that common bond of making beautiful pieces of art that we can also curl up under. As you can imagine, the weekend was inspirational, educational, and a whole lot of fun. I wish I could say that I’ve been good about keeping in touch with Amy, but I haven’t. And that’s OK. I know that when our paths cross again, we’ll talk and share as any two quilters do. Until then, I have a beautiful quilt that both reminds me of the fabulous weekend we had together and makes me hope our next meeting is sooner rather than later.